Another loyal reader submitted her Daily Covet. 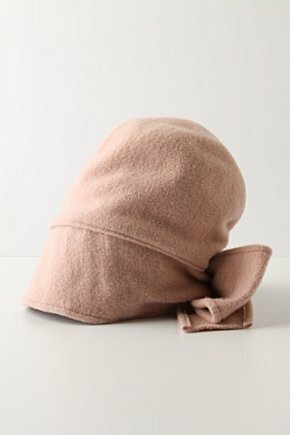 She picked this cute little boiled wool, slouch cloche with a ginormous bow from Anthropologie. I can totally see her in this cute topper with tons of earthy, ruffled layers and toothpick cords. So cute for a chilly day about town and a great splurge for a little pre-Christmas present to herself… while she shops for others, of course! 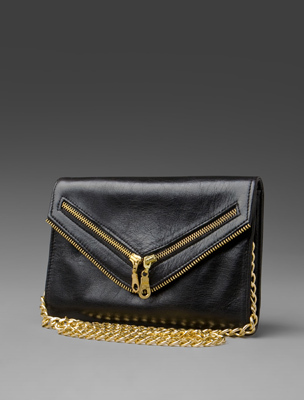 Daily Covet: Let’s Ring in the New Year! I found the cutest little accessory. But what a big statement, it would make! Everyone knows that pave ball earrings are all the rage this seasons and you can find them in every store from Target to Neiman Marcus. I even picked up a gold-toned pair on my recent trip to Kansas City. 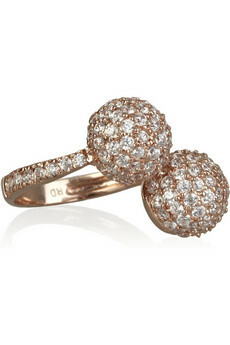 This cute, little rose-gold plated, pave ball ring would be just the right amount of bling to pair up with my earrings and it’s fairly inexpensive! I’m thinking it be so cute with my gold sequin sweater and simple black sheath for a New Year’s Eve Party!